FOX was hoping for the next big reality show hit to take over for its wildly-popular American Idol. They put a lot of faith promotion time into the Mark Burnett/Steven Spielberg series On the Lot. Unfortunately, it looks like the series has emerged as the TV equivalent of a movie bomb. 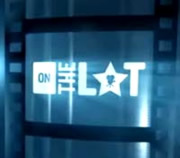 On the Lot was conceived as a filmmaking contest in which young directors would compete for a million dollar development deal with film studio DreamWorks. Over 12,000 submissions were reportedly received and from that, 50 semi-finalists were chosen. Like Idol, the competition series was planned to air twice a week. The premiere on May 22nd followed Idol but failed to hold onto much its huge audience. Idol attracted 24.5 million and less than 9 million stuck around for On the Lot. The second episode on May 24th dropped to 5.2 million and the third sank to 2.86 million on May 28th. With a lead-in from House, the ratings rose a bit to 4 million on May 29th but FOX had seen the writing on the wall. Beginning with the June 5th episode, the competition and results shows were condensed into single one-hour weekly episodes. In place of the Monday episodes, FOX replaced On the Lot with reruns of House, Hell’s Kitchen, and various sitcoms. Unfortunately, the schedule and backstage changes haven’t helped the ratings. In fact, they’ve only gotten worse. The seventh episode attracted only 2.4 million. The finale is scheduled to air on Tuesday, August 14th. If the ratings keep falling, will the series be allowed to finish its run? Would many notice if it didn’t? One thing’s for sure, I wouldn’t expect On the Lot to return for a second year. Stay tuned! Just wanted to say I LOVE this show! Wish I was a part of it as a Director in the competition! What an awesome opportunity! I actually just started watching the show (down to 5 finalist) and noticed there were no female Directors in the finals, where are they? Anyways, been hearing this rumor that you’re thinking of cancelling the show? Don’t do it!! I vote No. Just wanted to share my input! This is EASILY the best reality show ever. It’s about f**kin movies. How can it get any better than that??? And now it gets cancelled… Hurraaaaayyy.. How stupid are the people (ok, rethorical question). All they do is sit on the stage and do nothing.I want it cancelled!